Sharlene Pondt is on a mission to get more girls playing football. Just two months after being named head of the BVI Football Association Women’s Committee, Pondt, who plays left midfield, sometimes defense or striker with the Ball Stars, said women’s football is not at the level her committee would like to see it. She said they are aware that there might be ideas that women are supposed to play the sport. This year, Pondt says, they want to make a change in how they have been approaching women’s football, targeting girls from a very young age, 5, 6 to as far as the seniors. 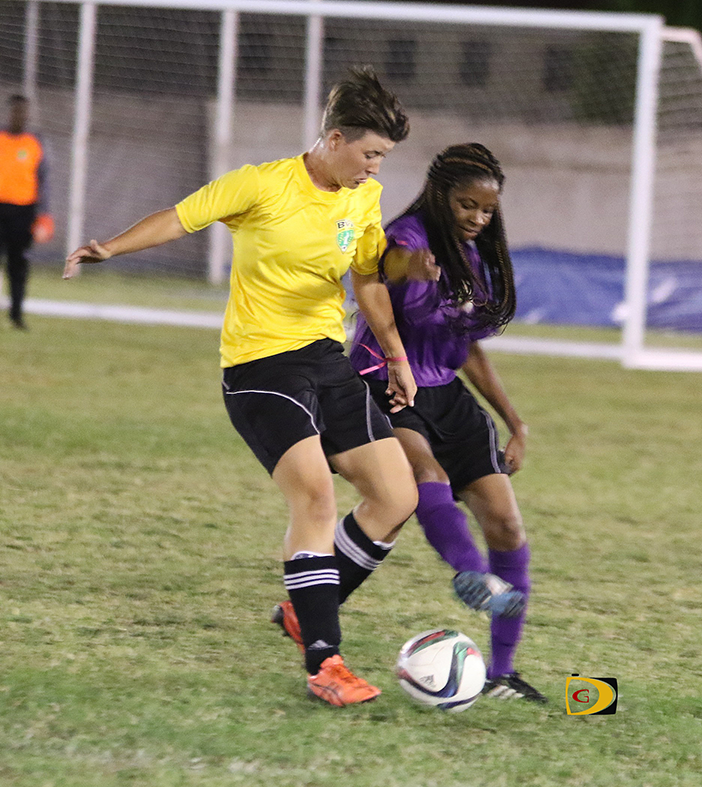 With a 9-A-Side Women’s Football League underway, Pondt noted that they went through out the high schools to get more girls to become involved with club teams. What they found she said, is although there’s a lot of them playing in the school leagues, they’re not playing on club teams in the premier league.